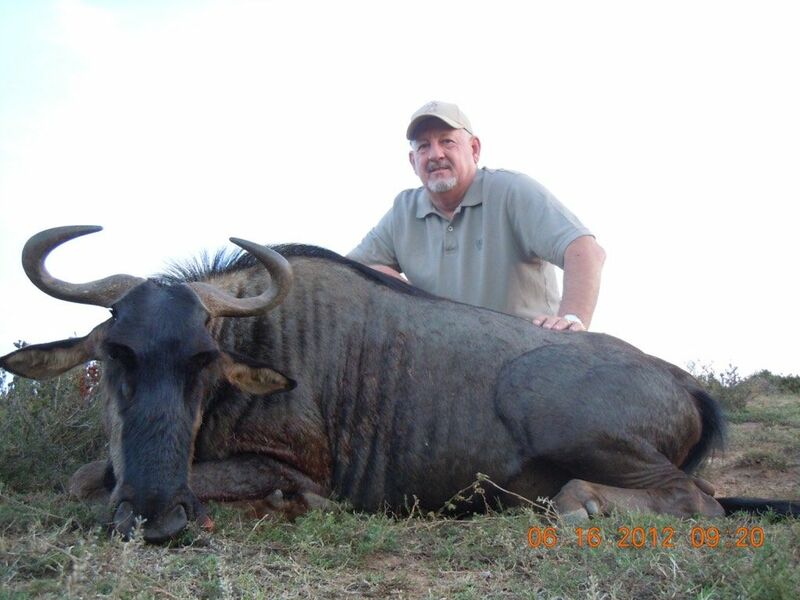 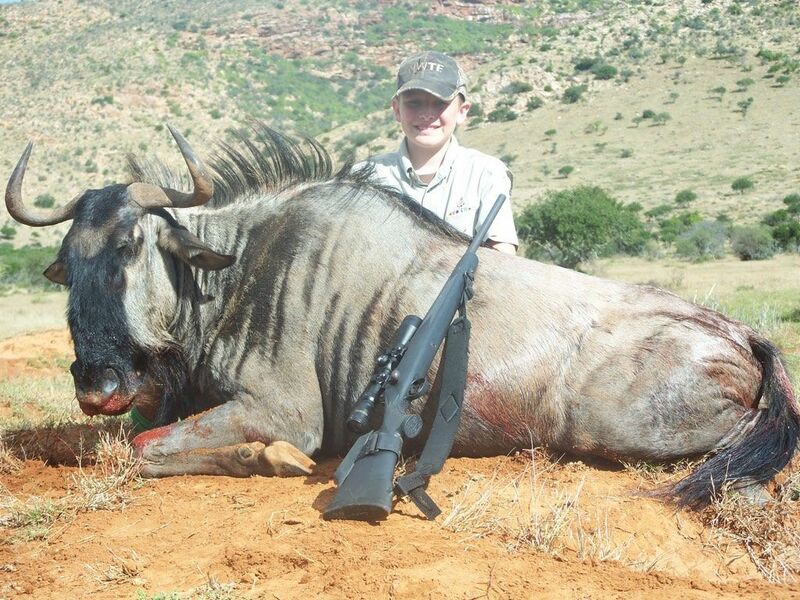 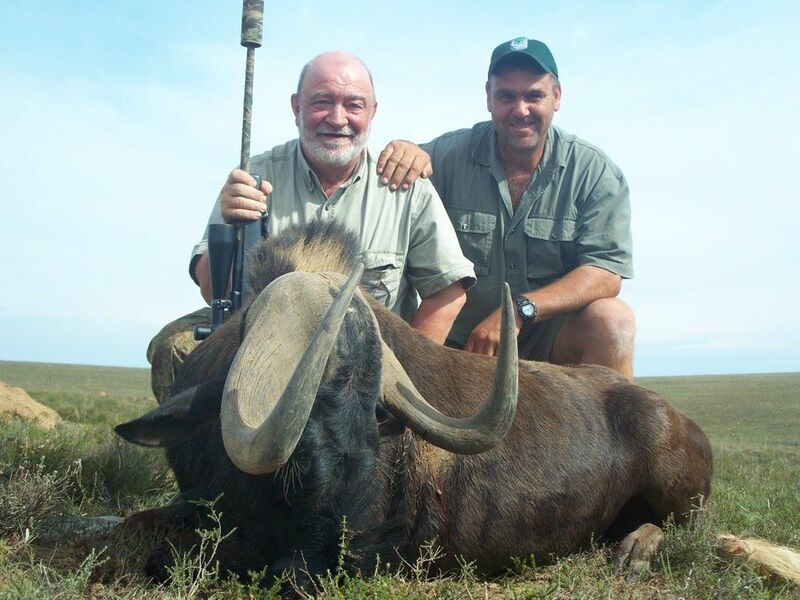 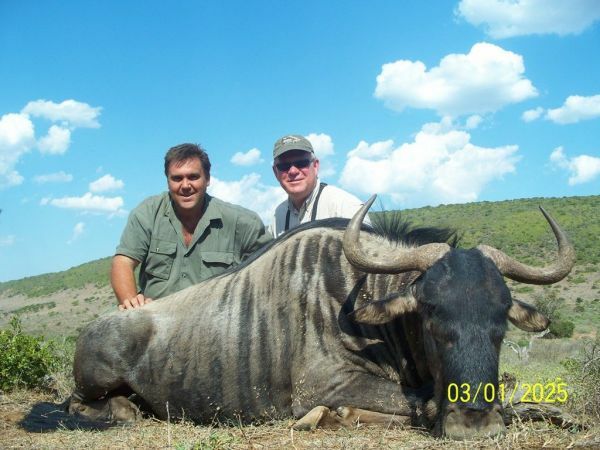 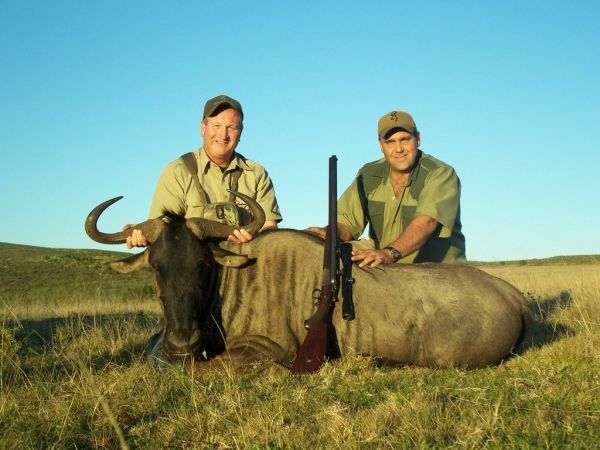 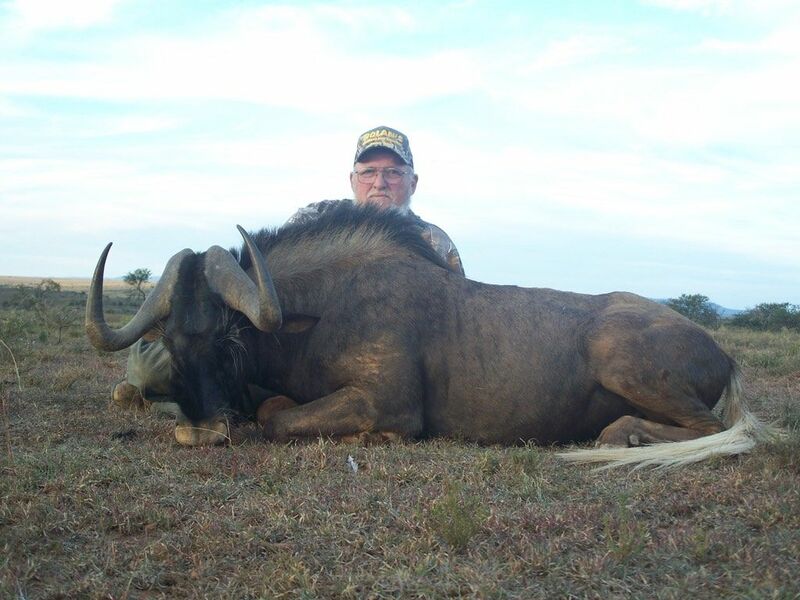 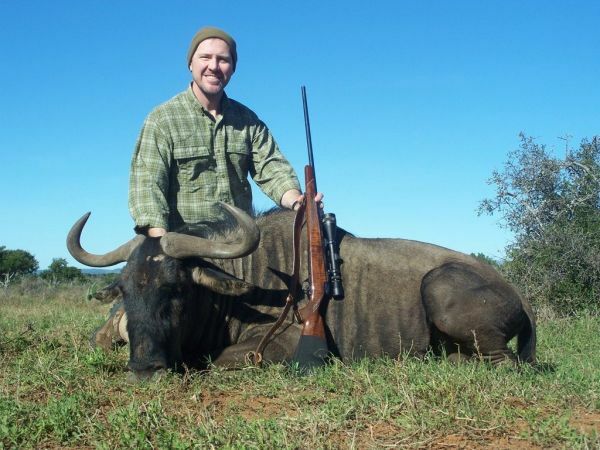 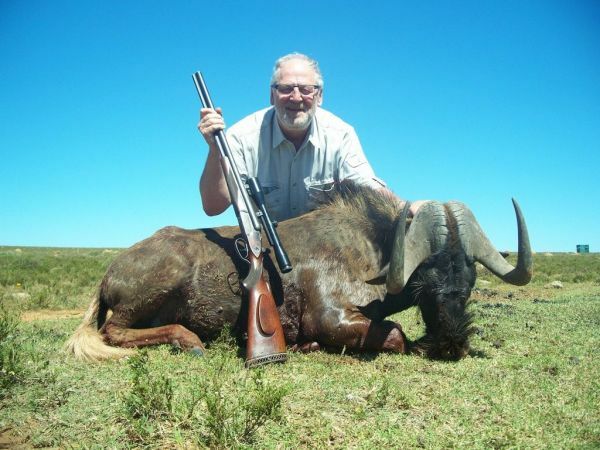 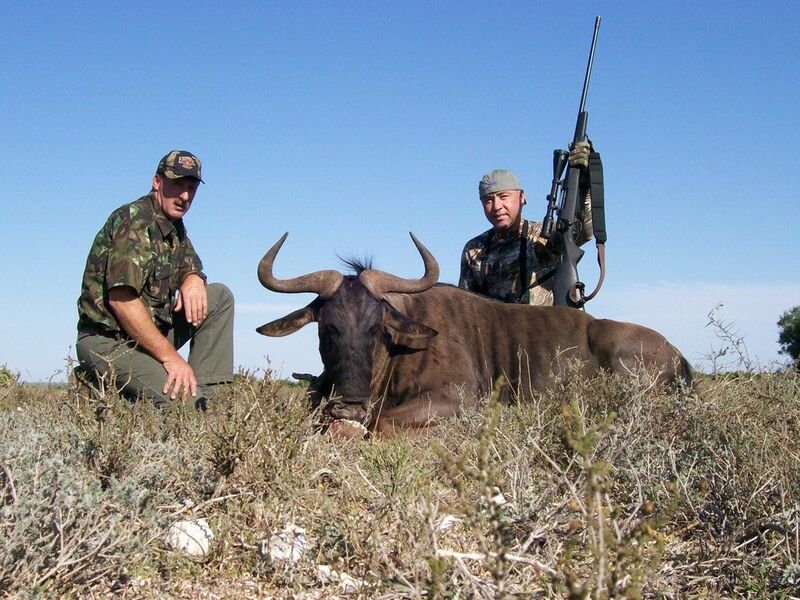 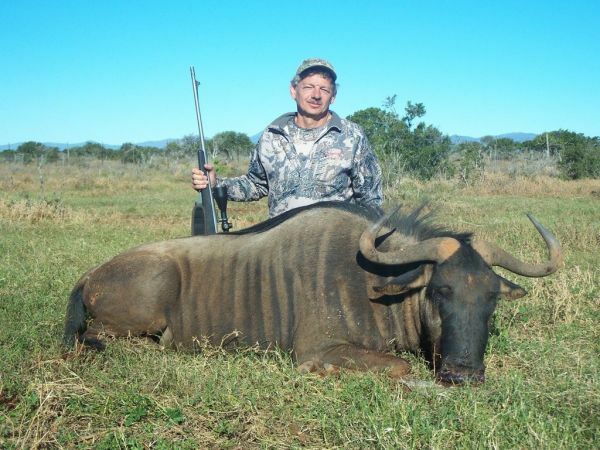 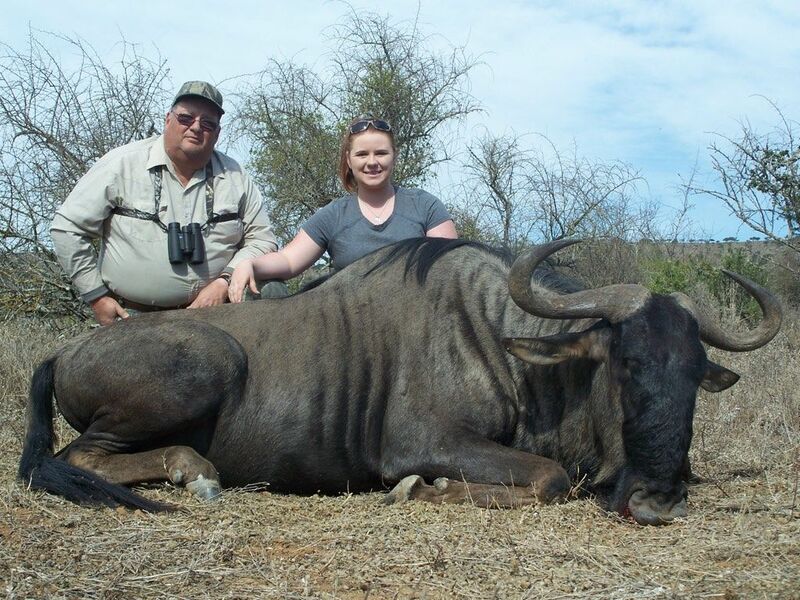 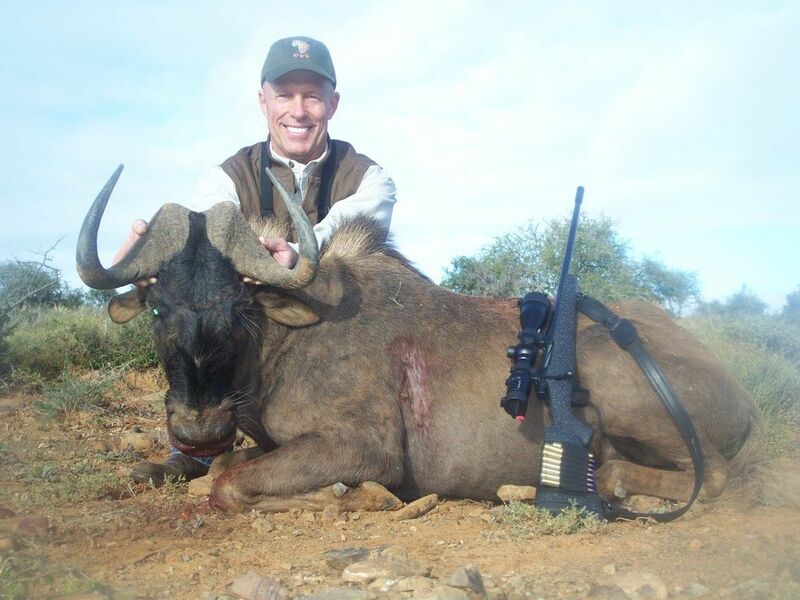 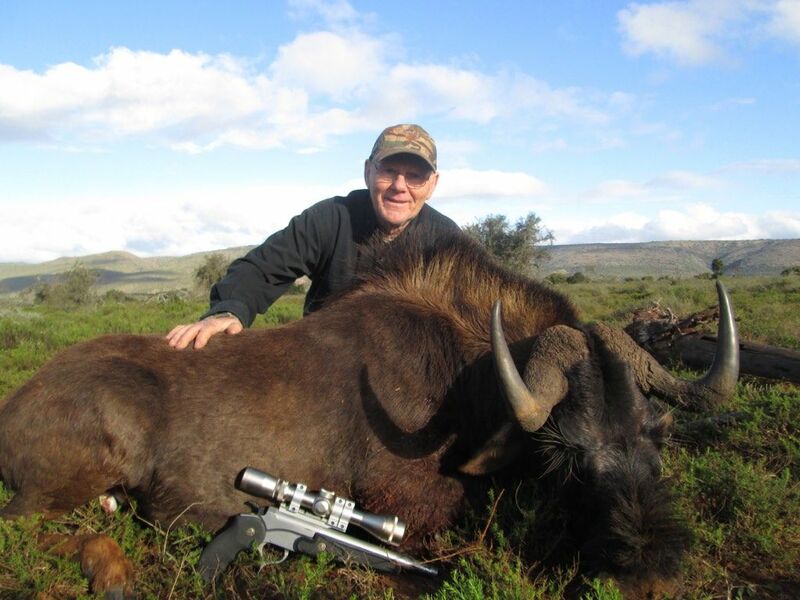 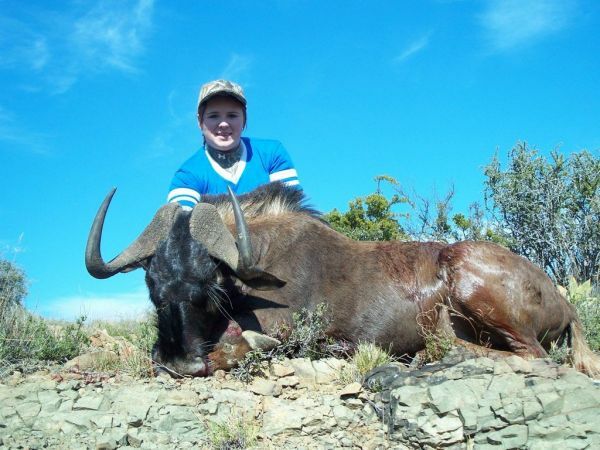 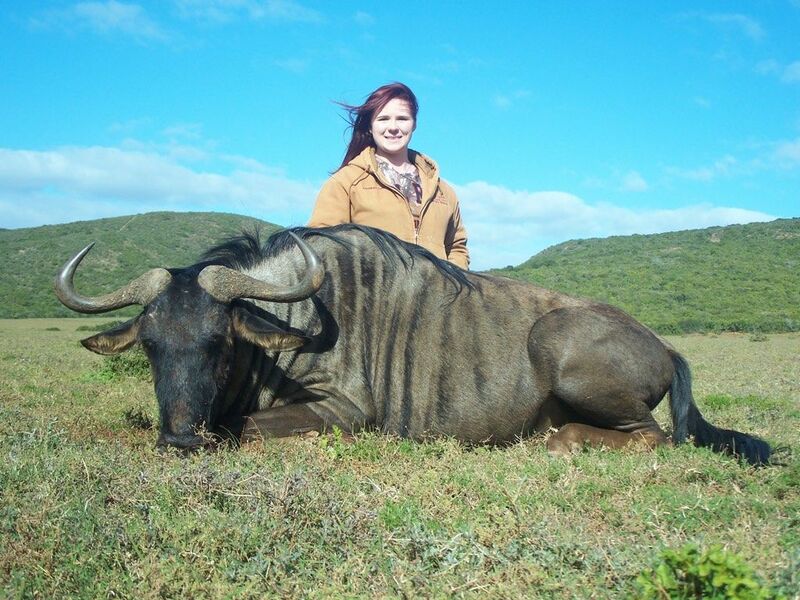 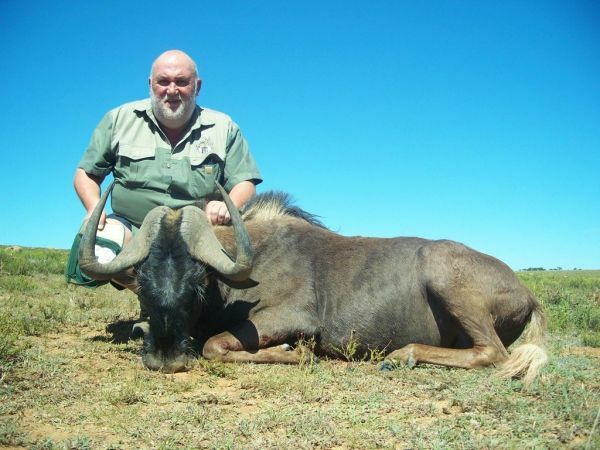 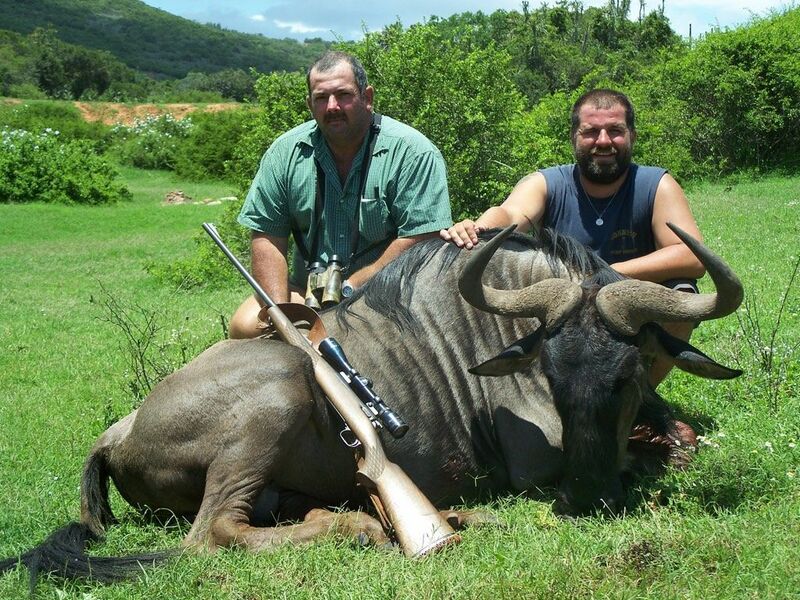 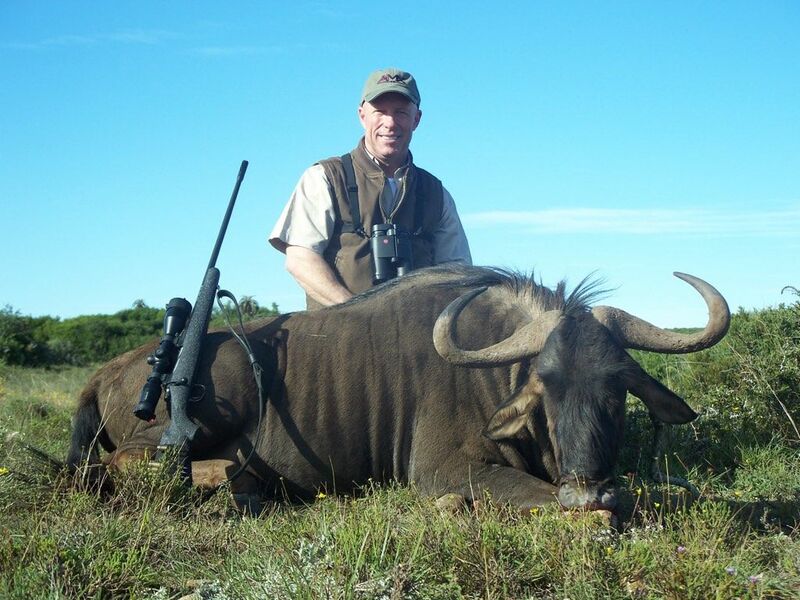 The blue wildebeest are bigger and both the sexes carries horns . 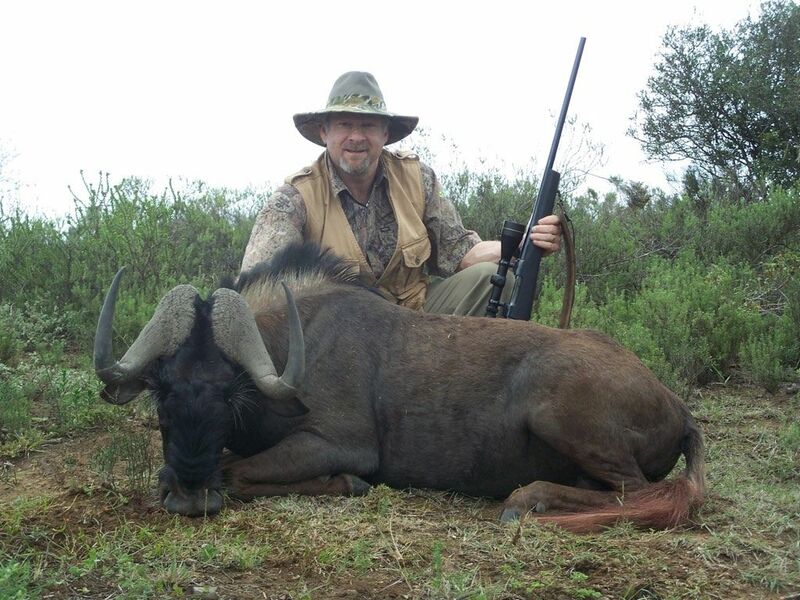 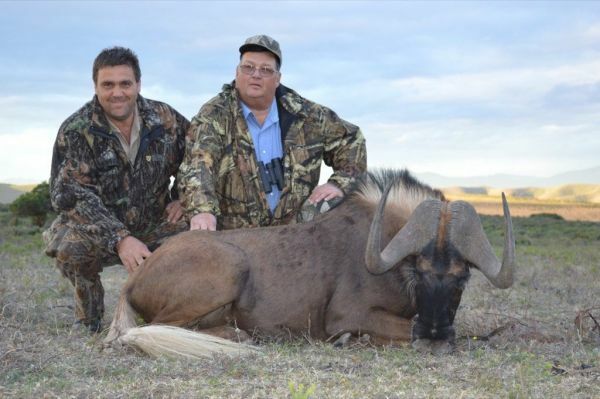 Horns are placed to the sides and the black wildebeest’s horns grow to the front. 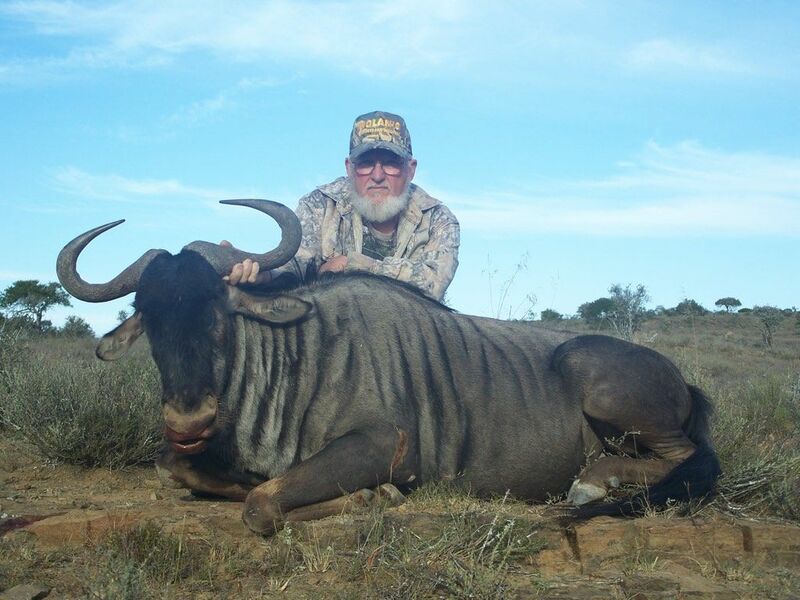 The black wildebeest are also known as the “Clowns of nature”. They would be on a grassland and just decide to start running in circles for no apparent reason. 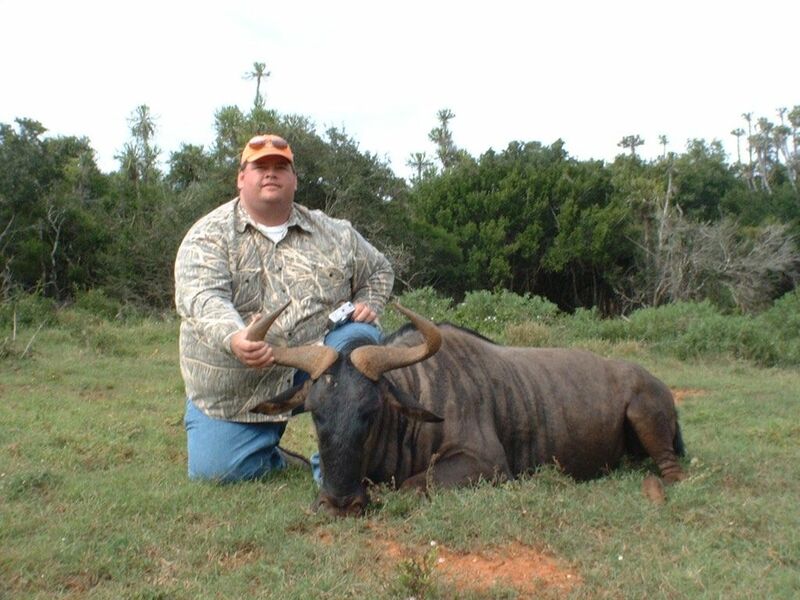 Not easy to distinguish between the sexes but the bulls have bigger horns and thicker bases than the females. 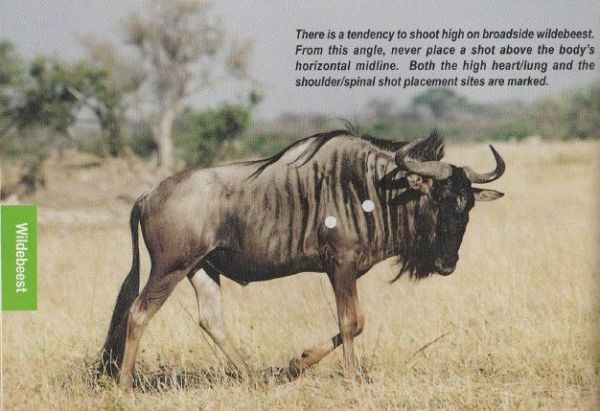 They prefer open plains and are easy to spot from a distance. 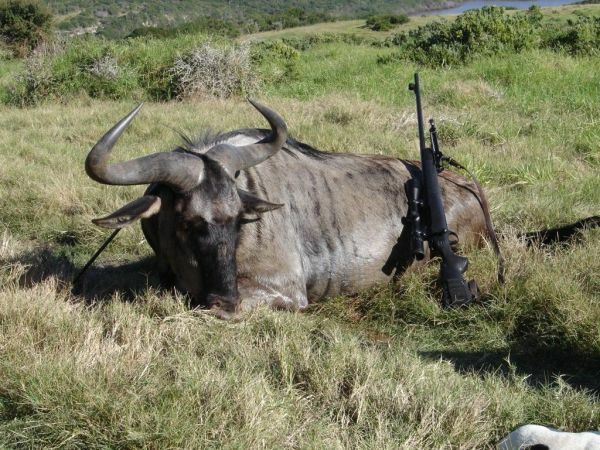 These animals are remarkably tough. 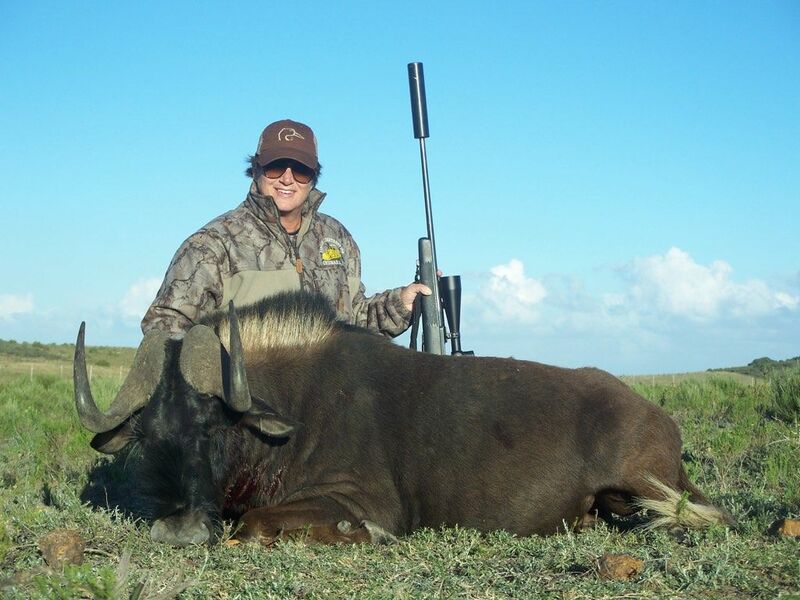 And a .270 is the caliber of choice in open plains conditions.